You really don’t need to overpay for top quality halters – you just have to know where to look. This Convertible Grooming Halter is handmade in Amish country. 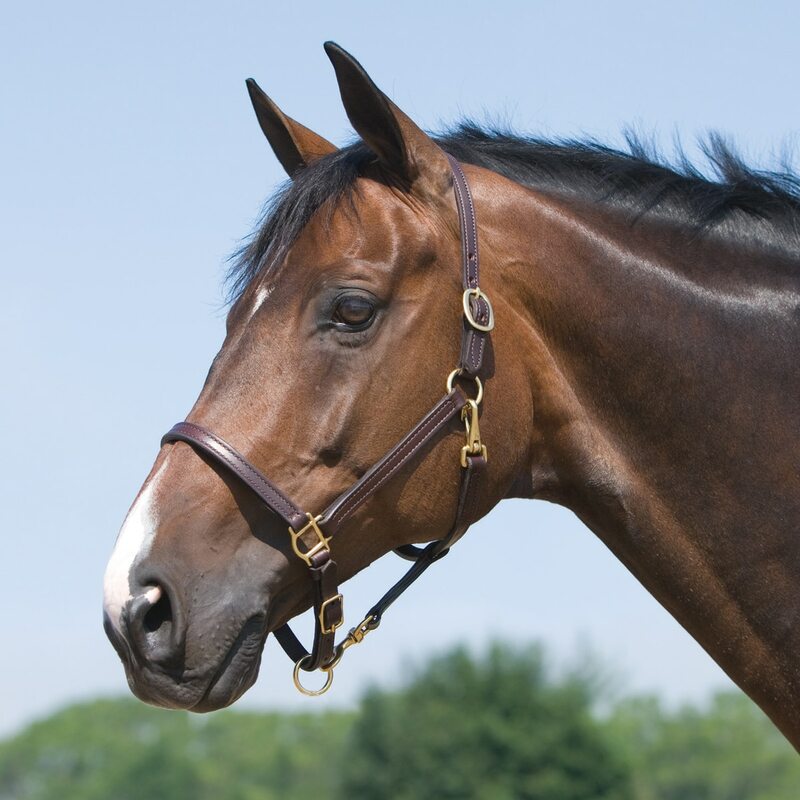 The Convertible Grooming Halter leather is soft and supple from day one. The solid brass hardware and quality stitching make elegant finishing. 3/4'' width. Brown. Please note, our halter nameplate will not fit this halter. SmartPak Convertible Grooming Halter is rated 4.7 out of 5 by 50. Rated 2 out of 5 by Casey from Leather still bleeds months later I bought this halter a few months ago and noticed almost immediately that the leather bled more than any piece of tack I’ve ever purchased. I cleaned it and oiled it many times and even still it bleeds. The quality of the leather is good but the bleeding has really ruined it for me, especially with a light gray horse! Unless your horse is naturally dark pink, would not recommend. I generally love smartpak products so this was disappointing. Rated 3 out of 5 by Erin from Leather bleeds I’ve had this for about a month now and while the leather seems to be of good quality, it is still bleeding! Not sure what is wrong with the dying process but I’ve never seen anything like it...especially no good with my gray horse. Rated 5 out of 5 by tmb10 from Gorgeous halter! I absolutely love this halter! For just leading horses in and out, we unhook the under part, as it's easier to get on and off in the dark, but it's great that it turns into a regular halter when we need it. The snaps are heavy duty and seem like they'll hold up really well. The leather is soft and supple right out of the box. It fits a variety of horses without a problem. We use the horse size on both Morgans and Thoroughbreds for leading purposes. I would probably not use that size to trailer a Morgan, though, as the fit is slightly long through the nose. In short, as a grooming halter, it is very useful to put on and off a multitude of horses and gets the leading job done with a minimal of fuss. We left the under part in the box for a little longer than the whole halter and it bled a little on the box, so if you have a light colored horse and are leaving it on during turnout, you may want to make sure you clean and oil it really well before use to prevent the color from bleeding onto your horse. Rated 5 out of 5 by Susan from Well made, high quality halter Nice to be able to make adjustments to get the perfect fit. Leather is clearly high quality, not stiff and "cheap". Rated 5 out of 5 by bittersweetsue from Love this halter My mare is stylin' the look with this leather grooming halter. The quality of the leather and fittings is superb. Good fit, and I love the detachable strap that makes grooming beneath her jaw so easy. She's pretty chuffed up about wearing this halter, and her pasture mates are definitely envious. Rated 5 out of 5 by Erin from Excellent Quality! Love this halter! It fits great, is easily adjustable and looks terrific. Rated 5 out of 5 by Kathy731 from Great quality From the oiled leather and solid brass fittings to the width of the straps, this halter is perfect! My horse is cob size and this halter fit fine because it is totally adjustable. I am very happy with this purchase.